22 of this edition’s 32 feature films have directors, producers, writers, or actors in attendance, all of whom will participate in Q&A sessions after the screenings of their films. Plus, the festival’s intimate and casual ambiance makes it so that audiences can chat one-on-one with their favorite filmmakers between screenings. The night started off with a bang with a lively opening ceremony at the festival’s night venue at the Handicraft Market in the center of town, filled with Lao music and dance, as well as speeches from Festival Director Gabriel Kuperman and the Governor of Luang Prabang. Following the ceremony was a screening of the new Lao film, The Anniversary. Directed by Chilasack “Jojo” Saysanith, the film had a successful commercial run in cinemas across the country upon its release in March of this year. After the film, a melange of the international film crowd and the who’s-who of Laos headed across the street to party on the lush grounds of the swanky new hotel, Azerai--the first location in a new venture from Adrian Zecha of Aman Resorts fame. In addition to the filmmakers representing their features, a bevy of directors, writers, and producers from the ASEAN region, Europe, and the United States also showed up to walk the red carpet, develop film industry contacts, and check out the regional talent. Over a dozen young filmmakers are in town for the 2017 LPFF Talent Lab, led by the Tribeca Film Institute, where they will pitch their film projects to a jury who will award one film a trip to the Tribeca Network Market at the 2018 Tribeca Film Festival. In attendance from Tribeca are Bryce Norbitz and Molly O’Keefe, who will lead the Talent Lab fellows in a pitch workshop. Also spotted at Azerai was Jeremy Sim from the Singapore-based film fund Aurora Media Holdings, which will be awarding one of the Talent Lab projects the Aurora Producing Award for $10,000 USD. A slew of Thai and Lao stars milled about, posing for photos with fans and new friends. Festival host and Lao pop star Touly looked elegant in traditional dress, while The Anniversary star Vena Boupha stunned in an elegant gown. 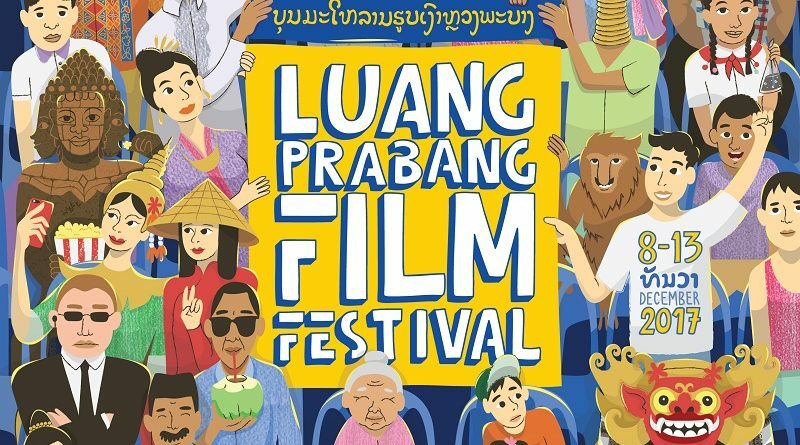 Ananda Everingham, the Lao-Australian actor who has found fame through his work in Thai cinema, is back in Luang Prabang to attend the festival as he has in previous years. Thai film is also well-represented, with over a dozen Thai filmmakers, producers, actors attending along with representatives from the Royal Thai Embassy. The festival will continue until 13 December, with screenings, public discussions, and performances occurring throughout the week. In keeping with LPFF’s commitment to accessibility, all events are free and open to the public.